GATE 2014 Online Exam Date | GATE 2014 Application Form iitkgp.ac.in Syllabus Exam center : 1. Graduate Aptitude Test in Engineering (GATE) 2014 will be held Online ( Computer Based Test) for All Stream of Engineering Subjects. 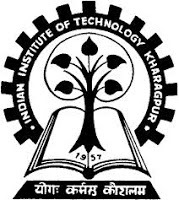 Indian Institute of Technology (IIT) Kharagpur is going to conduct GATE 2014. Graduate Aptitude Test in Engineering which is well known as GATE Exam is an all India examination that is primarily held to test the all-inclusive understanding of numerous undergraduate topics in Engineering and Technology. 2. On behalf of National Coordination Board - GATE, Government of India and some other important authorized departments, Indian Institute of Science and seven IIT's institutes of India are conducting Graduate Aptitude Test in Engineering (GATE). Comparative performance level of a candidate is measured by his/her GATE score. With the monetary assistance of MHRD and other Government this score is used for admissions to various post-graduate programmes (Like e.g. M.E., M.Tech, direct Ph.D.) in Indian higher education institutions. Sometimes Public segment units (PSU) uses this score for employment broadcast purposes. Zone-1 : Indian Institute of Science, Bangalore. Zone-2 : Indian Institute of Technology Bombay. Zone-3 : Indian Institute of Technology Delhi. Zone-4 : Indian Institute of Technology Guwahati. Zone-5 : Indian Institute of Technology Kanpur. Zone-6 : Indian Institute of Technology Kharagpur. Zone-7 : Indian Institute of Technology Madras. Zone-8 : Indian Institute of Technology Roorkee. Candidate be a passed out pursuing graduate in Bachelor of Engineering / Bachelor of Technology / Bachelor of Architecture degree or other programs. Any candidate who has completed or still pursuing Master’s in any branch of science / mathematics / Computer Applications or equivalent and students in final year of such programme can apply. Aspirants in final year of four year integrated programme (After Bachelor of Science) or Five integrated programmes or Dual degree program-me in Engineering / Technology. Professionals who have qualified through examination conducted by professional bodies recognized by UPSC / AICTE (eg. AMIE, AMICE) are equivalent to Bachelor of Engineering / Bachelor of Technology. Students must produce their identity card at the time of examination and it must be along with the hall ticket for the confirmation of your identification. Identity proof can be your voter card, your ration card or license which has your photo on it. 8. Candidates if you want to receive all latest news updates about GATE via Facebook, then join us on Facebook page. Candidates Touch with us for more updates or book mark this page for future reference.